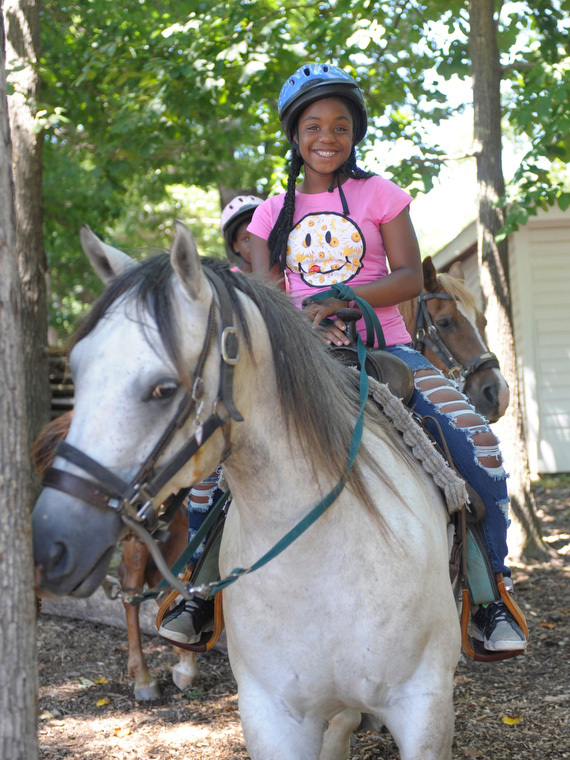 Your children are hand-led on a mini trail ride through the woods, so they have a real riding experience. They're not just led around in a circle inside a riding ring or around the barn. 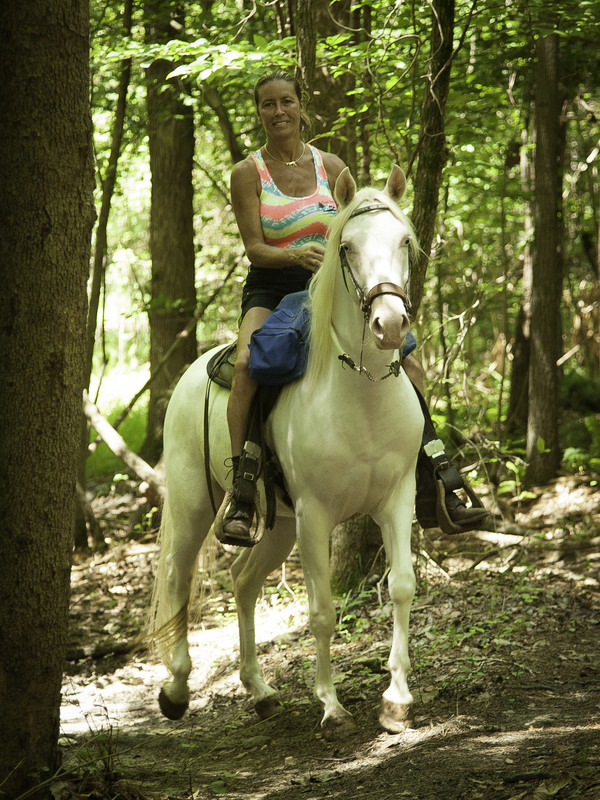 Parents can choose to walk along with their child on the trail, or you can rent a horse of your own to ride. The cost is the same for children and adults, and parents will ride on their on without the assistance of a walker. 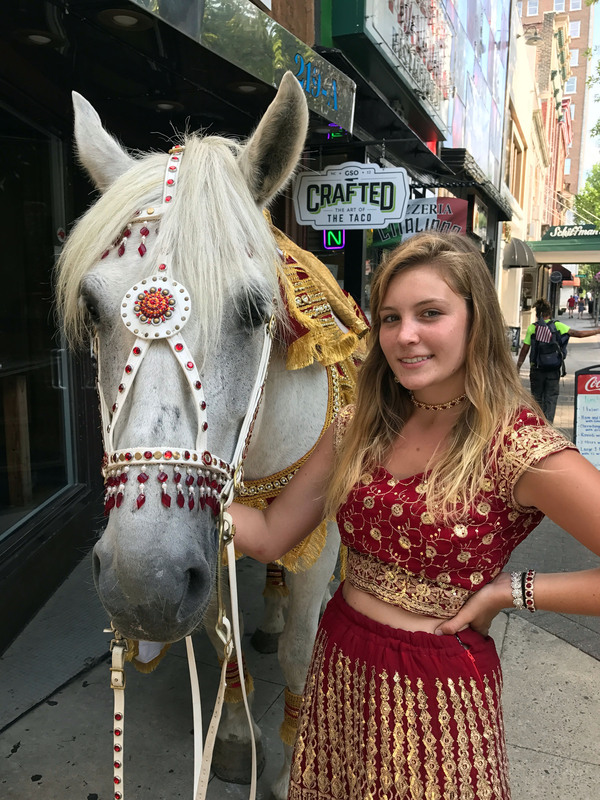 We use horses rather than ponies for our "pony rides" as our experience is that horses have better dispositions than ponies and are generally safer to ride. Ponies are much more likely to buck, bite, and have tougher mouths than horses, which makes them more difficult to control. Horses can also accommodate bigger kids without their weight or height being an issue, and taller children are less likely to feel top-heavy or unbalanced on a horse. We make one staff members available for hand-led rides each hour, so if you bring more than one child, you'll be asked to lead one of the horses. 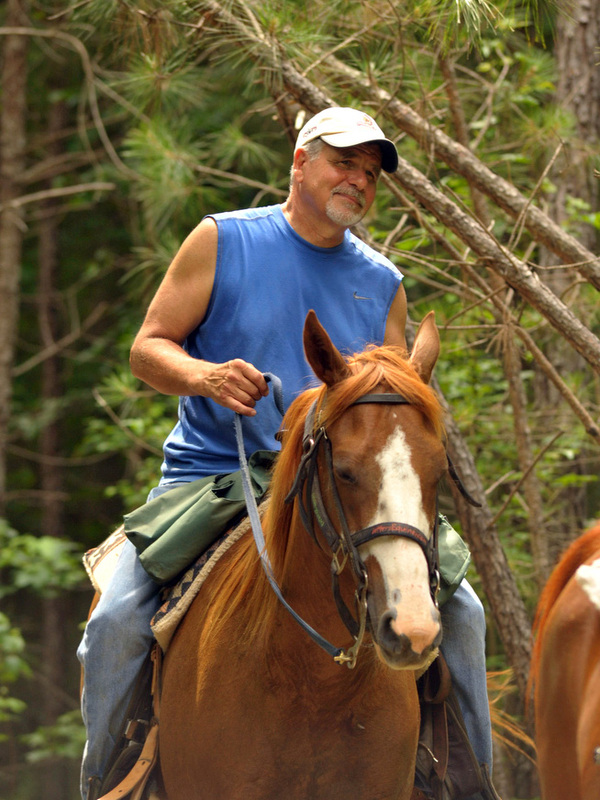 Our horses are very well mannered and easy to lead, so no prior horse experience is required to lead them. Children may participate in hand-led rides when they are 3 years old and up. However, their balance isn't usually reliable enough until they are four to ensure that they won't topple off the horse, so we ask that parents of 3 year-olds walk alongside their child while being hand-led by one of our staff. Our guides and volunteers work hard to ensure that your child has a safe and enjoyable ride. If your child enjoys their ride, tip your guide! Note: We only accept cash payments, i.e. no checks or credit cards. You can bring a camera if you'd like to take pictures of your child enjoying the many farm animals at Dead Broke Farm. You'll see chickens, bunnies, dogs, cats, guineas, a Mini, and a mule. Many of our animals are free range, so they are easily accessible.